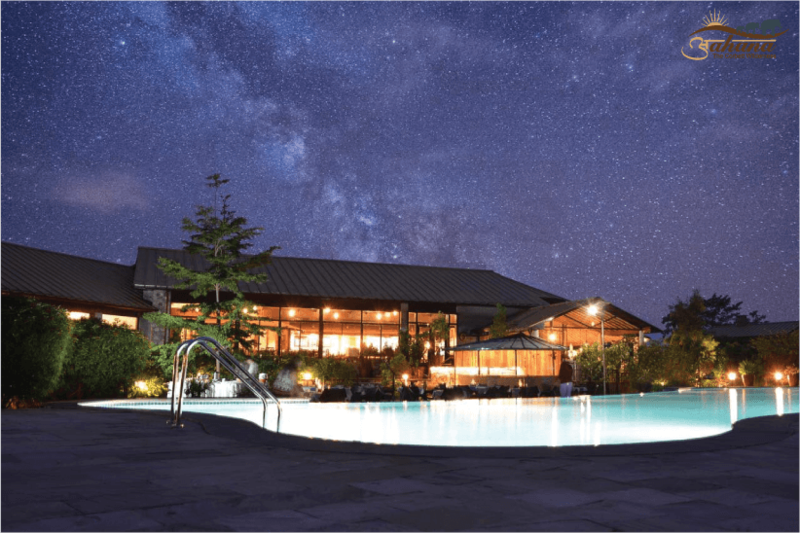 Jim Corbett Luxurious woodsy Wedding underneath the stars. There is something exceptionally magical and romantic about the wilderness. 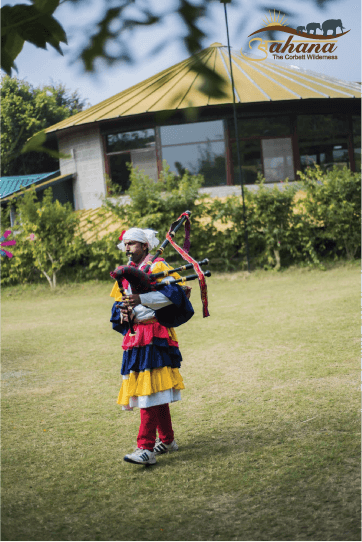 Nestled between the glorious woodland of Corbett National park, Aahana brings to you the enchantment of a luxurious woodsy wedding that takes place underneath the stars. The venue captures in a poolside view with the breathtaking tree-lined canopy in the backdrop and embraces an ecologically sustainable culture without compromising on luxury. 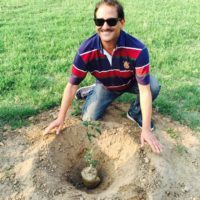 Weddings at Aahana are as naturally encouraged as possible with environmental friendly alternatives being incorporated at every step. 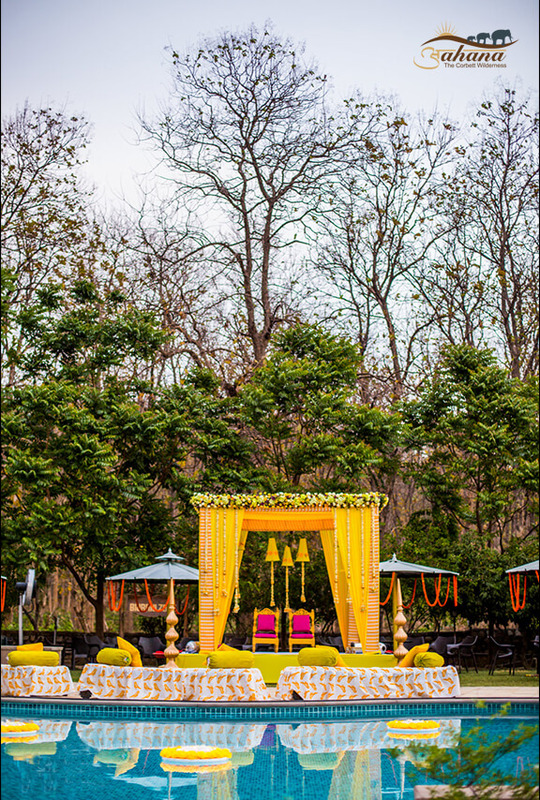 To make it a unique and memorable affair, we at Aahana offer you multiple services and take the burden off your shoulders, so all you may care about is the fun and frolic of a grand wedding. 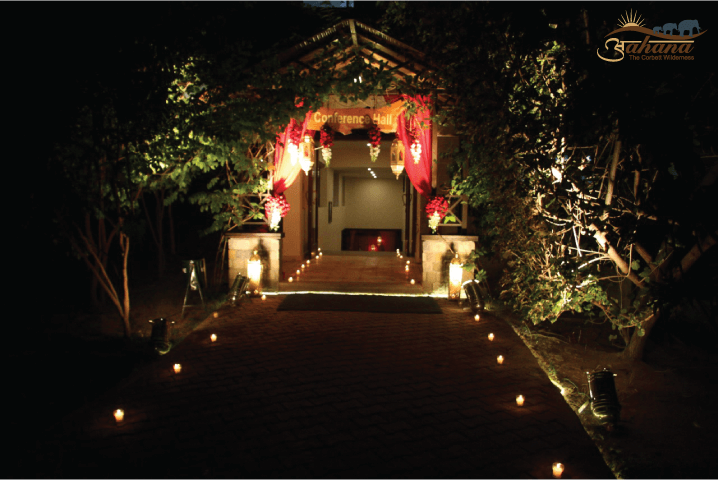 The lavish decoration and lighting are taken great care of to mark an unforgettable event. 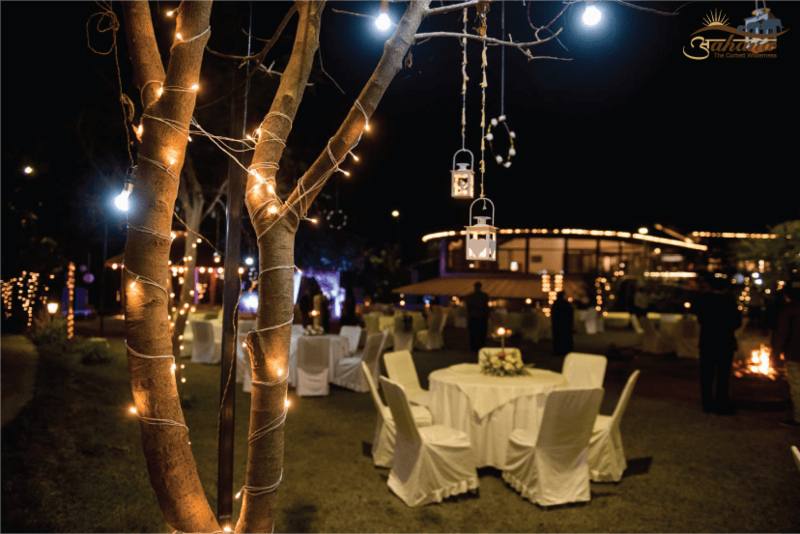 For delicious meals to follow your ceremonies, Aahana Resort has perfect outdoors for a barbeque in the evening and one of its kind farm-to-table experience at the restaurant tucked amidst the serene jungles of Corbett. Wedding cakes are specially made for the couple who is about to tie the knot so they can choose from a variety of layers and flavors to suit their taste (pun intended). 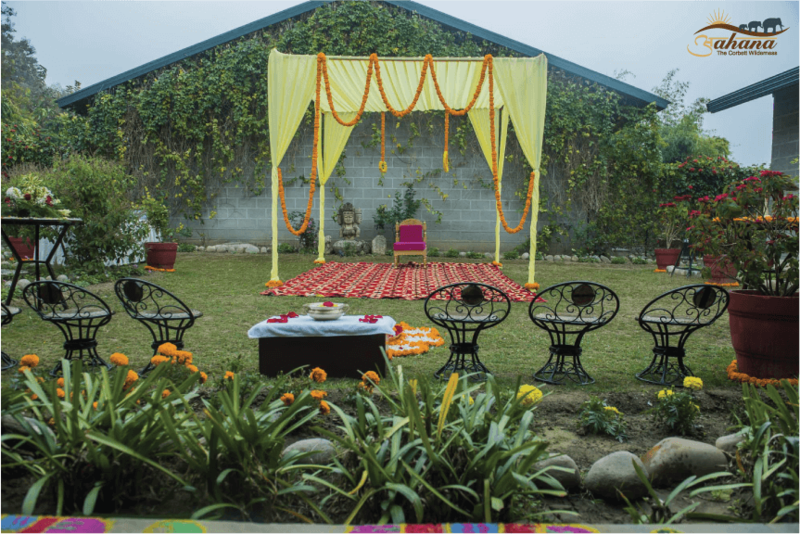 The culturally inspired venues can be tailored to suit your style with the bride and the groom perching on the wedding mandap fashioned in a uniquely traditional manner. 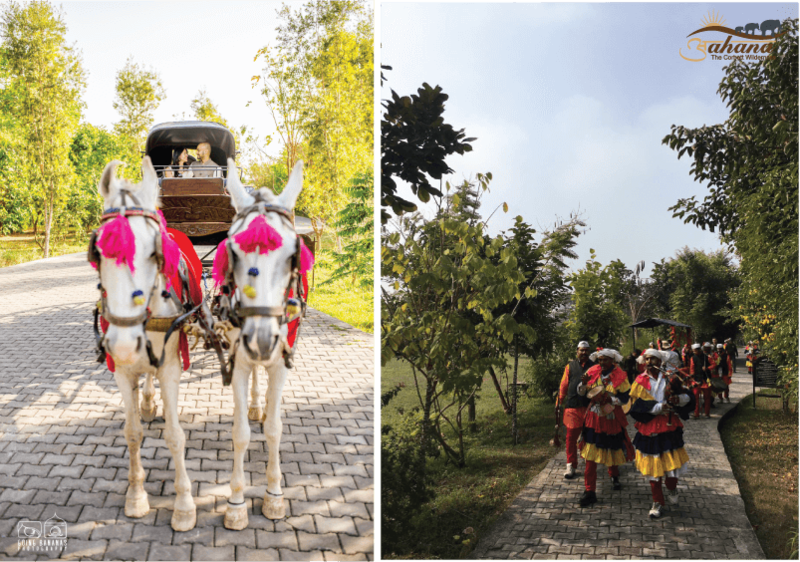 The groom can make his grand entry on a horseback, or even a buggy ride. There’s nothing quite like the feeling of being enveloped with flowers and forest and fairy lights and lanterns to recreate a woodland fairytale. Picture yourself nuzzling up around the radiant embers of the bonfire at night after the grand unforgettable wedding. And the wedding vows are sealed forever in the woods, with the melody of the gentle breeze and the beauty of unsullied wilderness painting the backdrop. 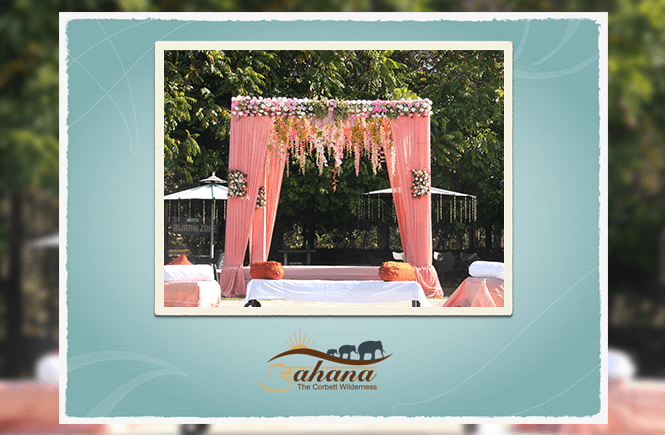 Here at Aahana, you can immerse yourself in nature whilst indulging in the luxuries of a destination wedding. Along with the pre-bridal beauty treatments, you can choose from a variety of natural therapies from the spa services. 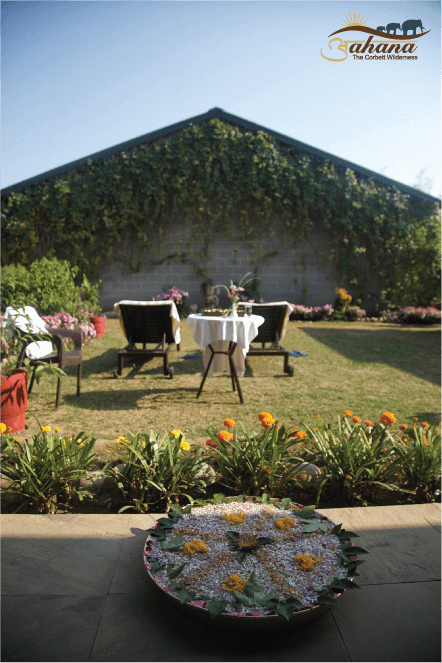 The naturopathy spa at Aahana is especially designed to pamper yourself in the run up to the big day. 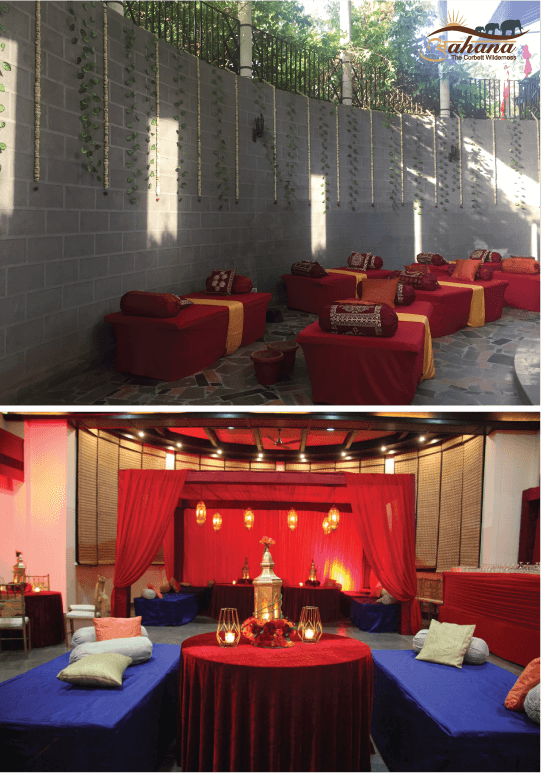 Aahana can be your perfect wedding destination with serene and romantic glade for the many wedding ceremonies and rituals. 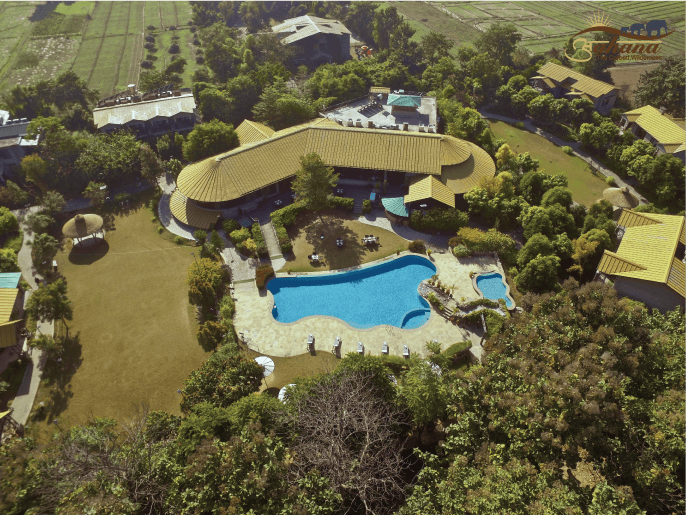 If you hope to rekindle a passion for the beautifully wild yet luxurious, Aahana awaits you.